Orthodontic braces are the appliances to keep your teeth alignment and teeth position correctly. So that the teeth can follow the same biological and physical process no matter what age you have. Orthodontic braces are applying pressure to straighten the teeth and keep the alignment. This type of dental treatment is a part of cosmetic dentistry. 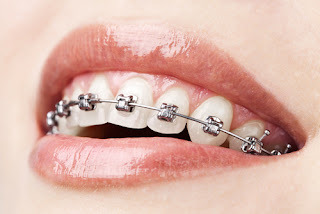 Traditional metal wired braces are build up of stainless steel occasionally combine with titanium. 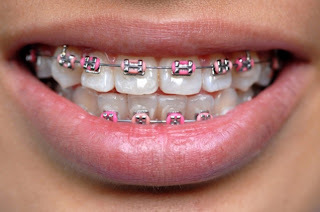 These type of braces are commonly used. Clear braces are alternatives to traditional metal braces by merging in more with the natural colour of teeth and having less obvious. These braces normally made up of ceramic or plastic materials and works in a similar manner to traditional metal brackets. Gold-plated stainless steel braces are used for patients allergic to some components in stainless steel, but may also be chosen only because of gold over the traditional steel braces. Lingual braces are fixed braces to the back of the teeth making them invisible to others. 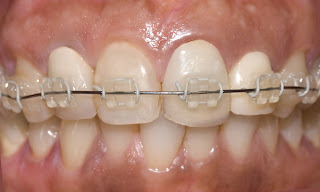 So that, these type of braces are a cosmetic alternative to those who do not wish the braces to be visible. The treatment time may vary from six months to three years depending up on the difficulty and type of problem. 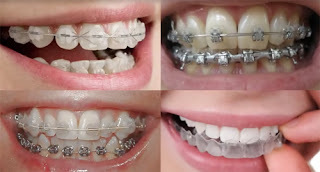 First step is to identify either the braces are suitable for the patient. After the detailed analysis of the dentist, decides what type of braces can be used. Some dentist suggest retainers after the treatment, in order to avoid the teeth moving back to the previous position. Treatment that starts from childhood is more helpful to make good results. It is important to avoid sugary foods with braces, because it lead to build-up plaque around your brackets that could permanently make stains or damage the teeth. An attractive smile can improve your self-image. The person can actually look years younger by straightening crooked teeth or fixing the excessive overbite or an underbite of the teeth. A beautiful smile can increase self-confidence and in turn, a sense of well being. Cosmozone dental clinic is one of the reputed dental clinic in India situated at Greater Noida, Uttar Pradesh offering variety of services like facial beauty with dental beauty, dental implant, facial cosmetic surgery, cosmetic dentistry, etc under one roof. The cost of dental treatments are much low in India and especially reasonable at Cosmozone. Cosmozone have well equipped clinic in Greater Noida and capable of treating all aged persons with a vision to keep smile on every faces.